Dorner’s smallest conveyor is getting a big boost in efficiency. The 1100 Series conveyor platform now comes with two upgraded motor options that are 50 percent more quiet than the previous version, while also being rated for 10,000 hours of operation. For added flexibility, customers can choose between either a fixed or variable speed motor, both of which offer high strength gears to maximize performance with a wide selection of output power. Dorner’s 1100 Series conveyor is designed for small part movement. Its compact design featuring a 3/4″ frame height makes it the smallest low profile conveyor available in North America. This low profile enables the conveyor to fit into the tightest of spaces, freeing up valuable machine or worker space. The 1100 Series is designed for lightweight or very small product movement and is Clean Room Class 100 Certified, making it ideal for medical, pharmaceutical, life sciences and industrial applications. The 1100 Series comes with several engineering designs for optimal performance in small part handling. 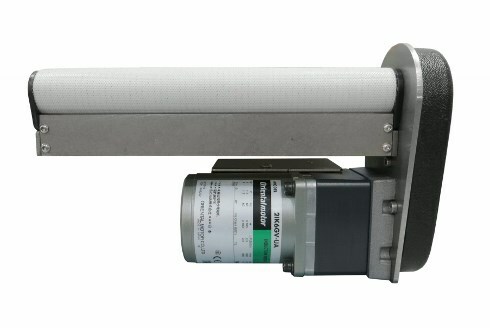 The belt conveyor has a 5/8” roller transfer tail for accurate and efficient small part end transfers; the conveyor belt is nearly flush with the frame for easy side transfers, and the patent-pending pinch drive allows for 15-pound load without the need for high belt tension. Dorner provides a variety of control options for the upgraded motors, including 24 VDC or 115 VAC input power options. Additionally, users can interact with the motor from either the control panel, or it can be programmed to be controlled remotely. The 1100 Series conveyors can be built to exact customer specifications and shipped in about a week. For more information on Dorner’s 1100 Series conveyor platform, visit the 1100 Series Product Page.